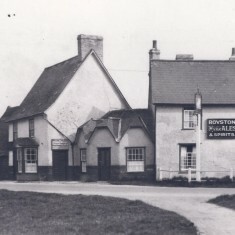 The White Swan Inn stood where Nos 27 & 29 Royston Road are now, once called Swan Corner, opposite Swan Green. 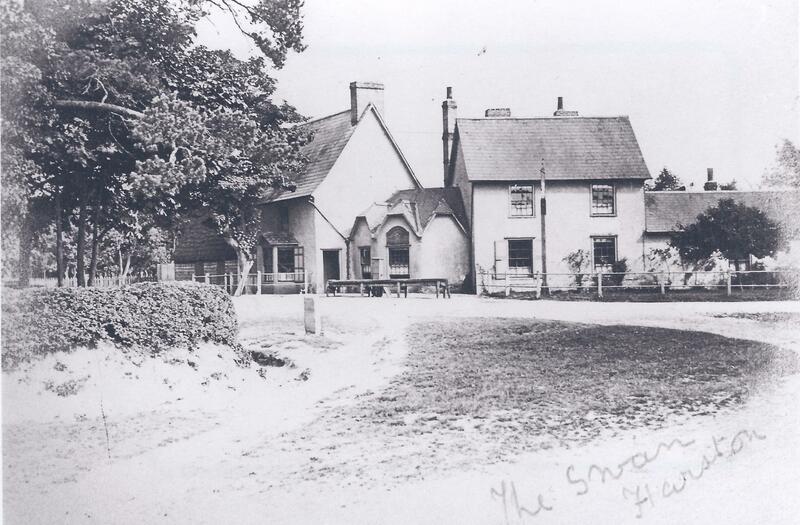 It dated from the 17th century and was owned by a tanner in 1693. 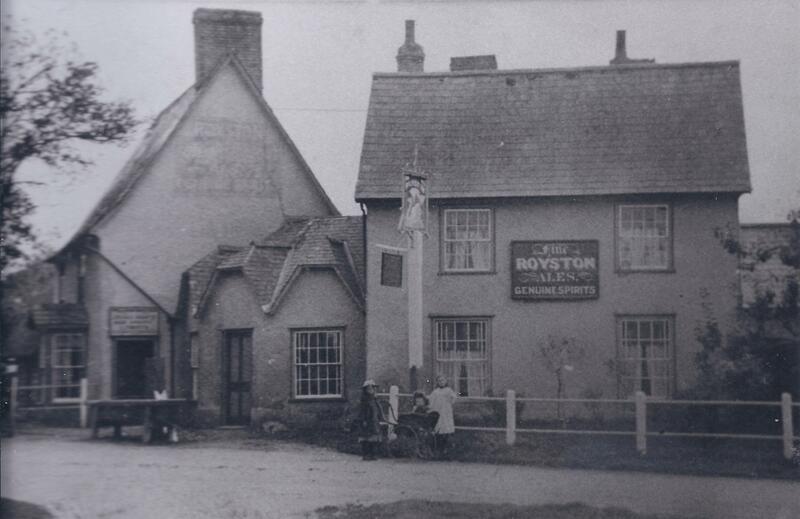 It was the most important coaching inn in the village before the railway came. 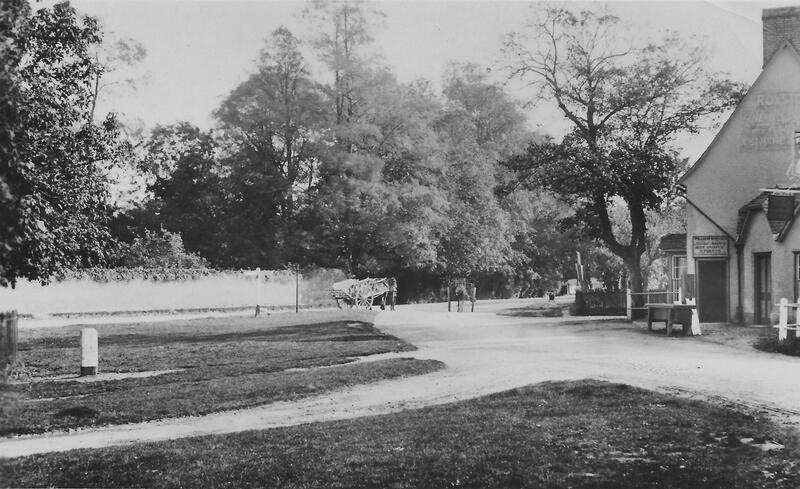 It had 6 horses stabled there in 1879 when the last coach ran from Cambridge to Oxford. 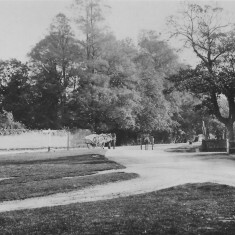 It was very busy with wagons and carts standing as far as Mill Corner while waggoners refreshed themselves and their horses. Harold Northrop recalls, early 20th century, that there was a pump & large water tank outside for the horses. Charabanc parties would take pleasure in throwing coins in the tank and watching the village kids get very wet trying to fish them out. 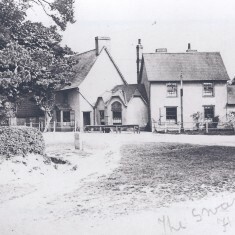 Many village events such as dances, wedding receptions, horkeys (rent and harvest feasts) and auctions were held in its large room and organisations like the Society of the Ancient Order of Shepherds held their meetings there. 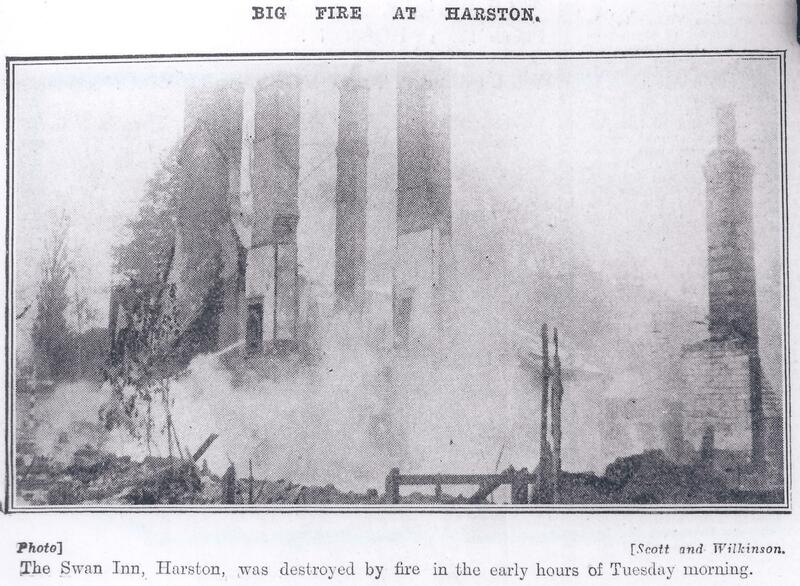 The inn burnt down in the middle of the night on 8 May 1928. 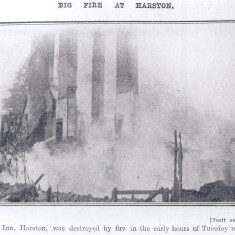 The fire started in the parlour and the inmates were roused by the dog barking. 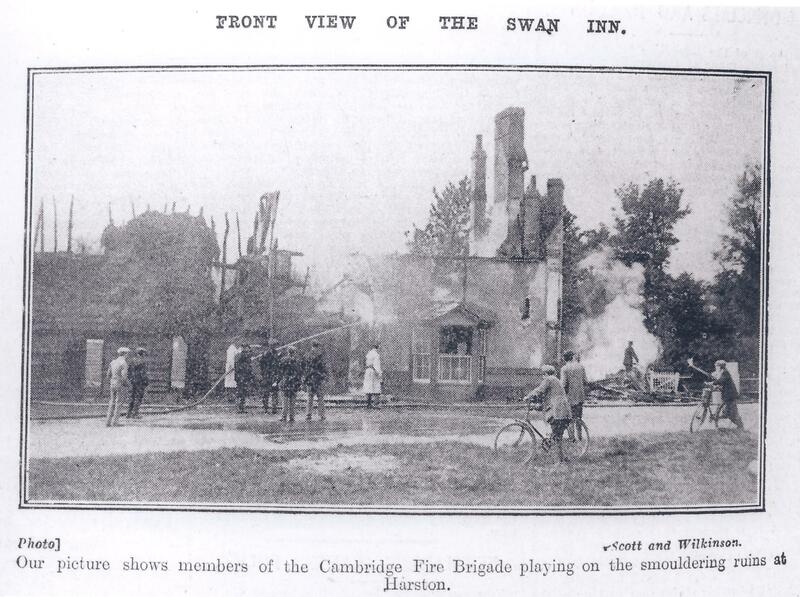 As the inn was lath & plaster construction with a thatched barn next door, the blaze quickly spread. 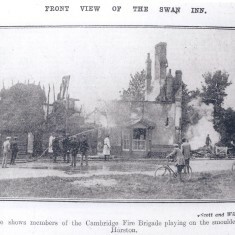 Although the Cambridge fire brigade attended, they had to transport water from the mill pond some distance away. 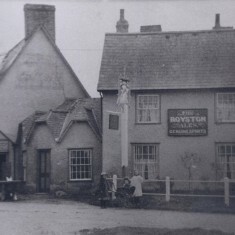 The inn burnt to the ground and was never rebuilt. 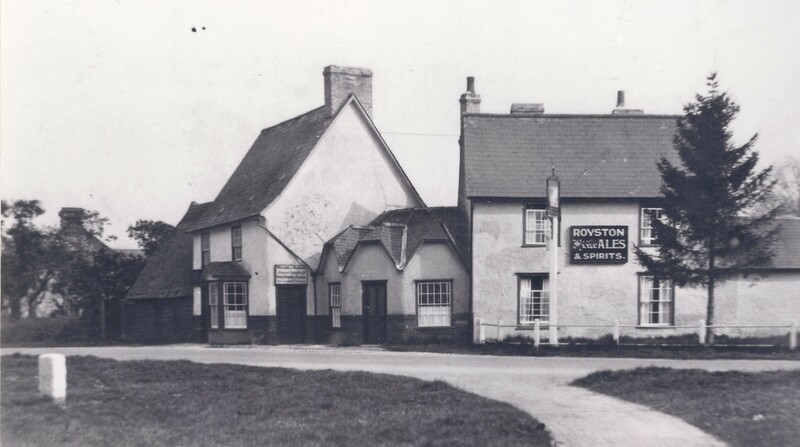 The Wallman and Haylock families were associated with the pub for around 50 years each (William Newling married William Haylock’s daughter, Mary). Below are the only landlords we have recorded, can you add/amend?